Three amazing talks at our Network meeting. 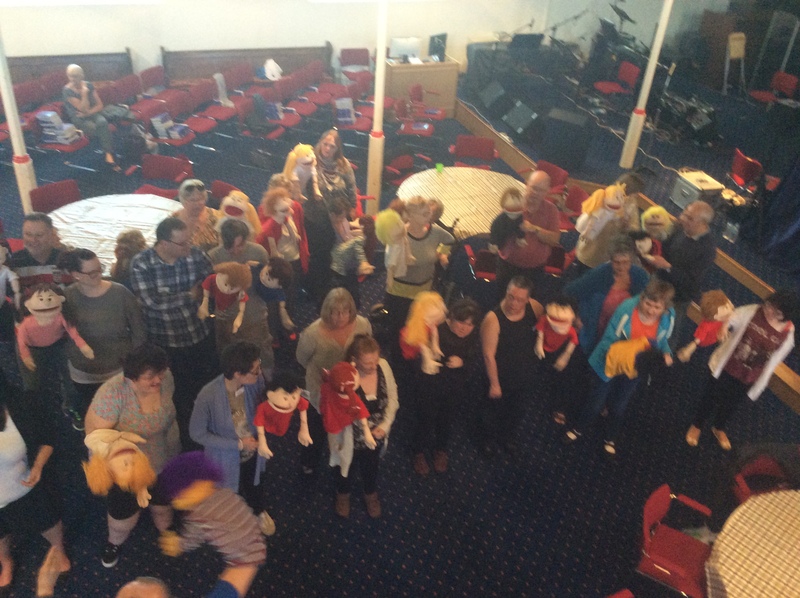 On Saturday 30th April we met for the fourth time as the Lancashire Roofbreakers network. Over 20 of us met, and listened to 3 great talks that prompted a lot of discussion and questions, which was fantastic. 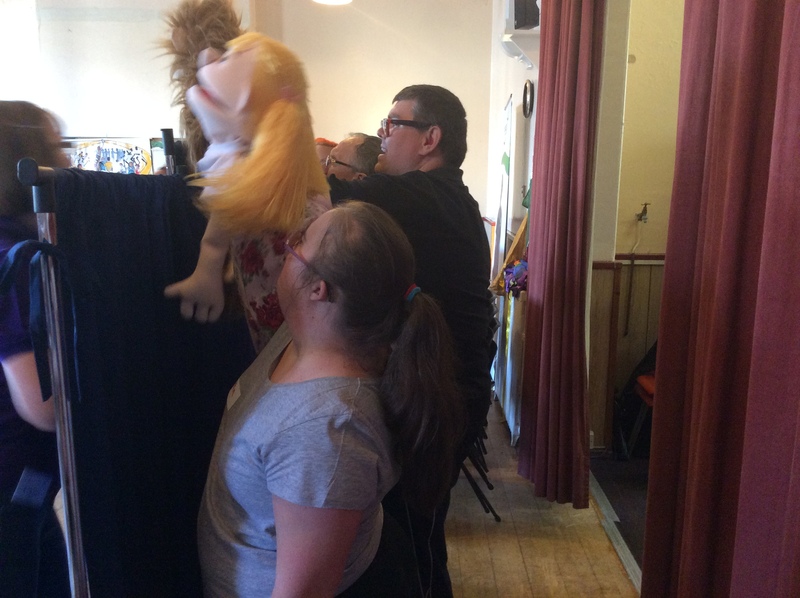 James and Sarah talked to us about how they had planned to put provision in place for children with additional needs in their children’s activities on a Sunday morning. 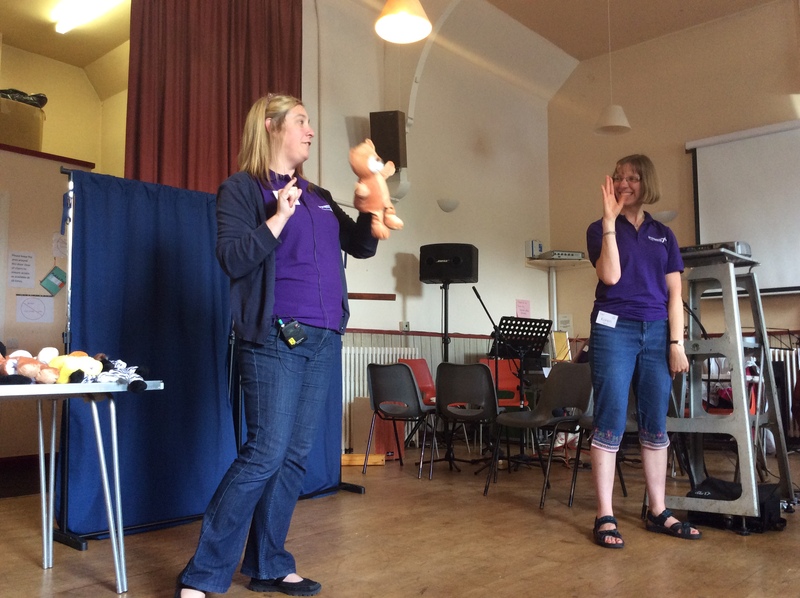 But more than that, they had put together a 3 part plan to develop awareness and engagement from the wider church, with the ultimate aim of getting everyone aware and equipped for including children, young people and adults in their church. 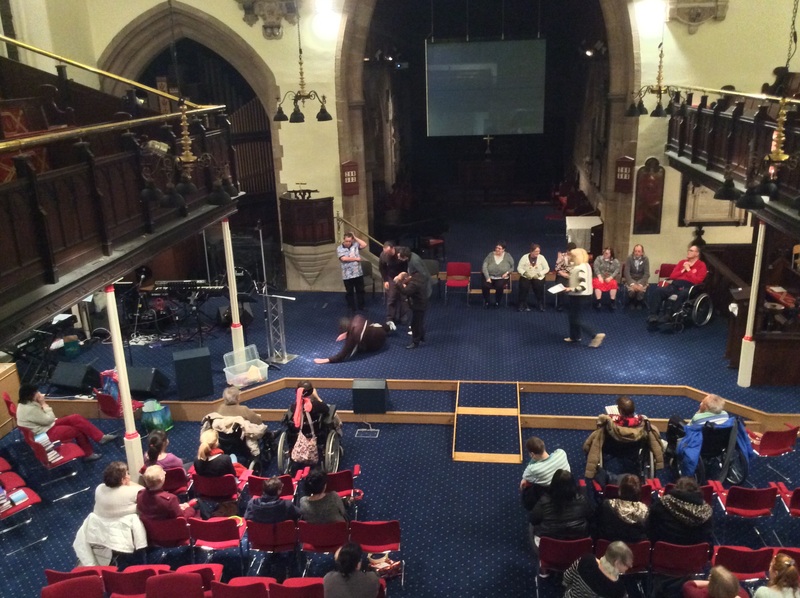 James had put together a training evening for the children’s workers, (which was very similar to the All Inclusive training done by Mark Arnold from Urban Saints) and has rolled up his sleeves to get involved in the Sunday children’s work each week. From there, he and Sarah can implement the advice, support others doing so and speak to parents of children with additional needs. 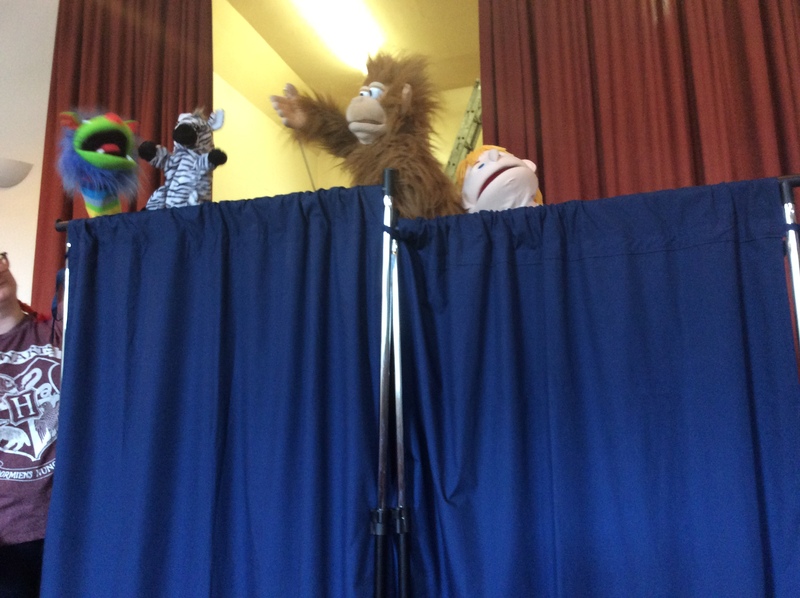 I was very impressed by the lengths they had gone to in order to listen to children and parents so that what they needed was made available. Sarah showed us some of the resources they were using and gave us chance to look at them through the morning. Secondly, James and Sarah have attended leaders’ meetings and presented their vision and plan so that the leaders understand, know and can support what they are trying to do. They have spoken to smaller committees and leadership teams and are hoping to speak to every group in the church. This is a good approach…communication and having everyone be aware means that what they are trying to do will be understood, supported and hopefully adopted by others. Finally, James and Sarah shared a wider vision…to reach out to the community. 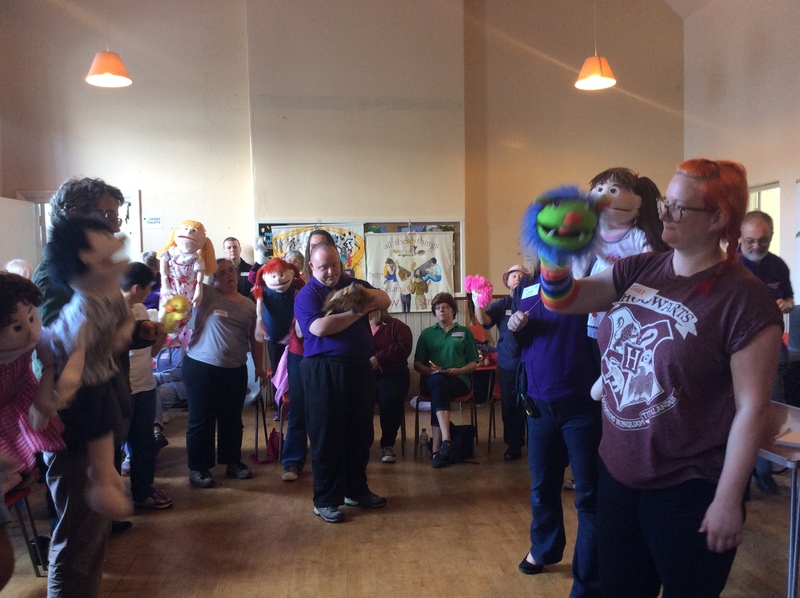 To tell them through the community newsletter what they are doing and what is available at the church for those with additional needs and disabilities. We all know families and individuals that find church hard, or who came once and felt that they weren’t going to fit in, and they want to make a way for people to come back to church, or come for the first time, feeling that they will be understood and supported with care and acceptance. We were excited that Dave, Jarvis the guide dog and Bill had travelled over from the North East to join us and grateful that the snow earlier in the week hadn’t stopped them coming. They came to tell us about how and why Disability and Jesus was set up, what they believe about disability and about their conference in June. First they talked about how they want to develop a Relational model of disability. Our society looks at disability as a medical (disabled by medical causes) or social (disabled by society excluding or not valuing) issue. Relational is about that we are all this together – all of us. As Christians, and human beings we are all in relation with each other and should be journeying together towards our goal of being more like Jesus. The practical application of being relational with people with disabilities in church is about stopping people building walls between groups of people. They suggested we ought to be radical about hospitality, inclusion, welcome. Asking why do we segregate people? How can we all come together and make it accessible for everyone. We should be doing what Jesus did and going out and finding disabled people, sharing the gospel and bringing them in from where they are. Making sure that what they encounter is the right ATTITUDE. It’s not the church building – it’s the welcome and attitude that speaks more than any ramps or accessible toilets. It goes beyond ACCOMMODATION – providing separate access. It’s about INCLUSION in what everyone does. Being community, all flourishing TOGETHER is what God wants. She then shared some of her own testimony and challenges of having a personality disorder to challenge us all about what made church safe for people like her and other conditions, that meant being in one place with large crowds of people were just too overwhelming and therefore made church unsafe and inaccessible. Alma herself has written a blog post about what she shared and so I will post it as the next blog so you can read it from her own words. After writing about how to write sensory stories for young children, I now turn my attention to teenagers. This is a tricky post, because by the time they reach their teens, young people with additional needs, learning disabilities and/or autism are growing, developing and making the transition from childhood to adulthood… The same as any teenager. By this age, their personalities and abilities are becoming more established. They are unique, amazing and will not fit into a neat box. So we can’t say, “this is what you should do for teenagers with additional needs”, because each one will need a more personalised approach. They read from the Bible. He couldn’t read too well. They then spoke at length about the passage, it’s history and some quite in depth analysis of the passage. It was all done far too quickly for him. He just couldn’t keep up with the pace of one idea moving onto another. The same principles of story telling are used. One sentence which is the main teaching point of the passage. It usually is a central truth about God, Jesus, the Holy Spirit or the gospel. It is ok to repeat these points as we want our teens to really understand their faith in the Lord. Five to ten (ish) simple sentences that tell the story and move it through the main events. This is difficult as the writer needs to be able to ignore waffle and minor details to get to the point. If there are details that are essential to the meaning they need to be included. It is at this age we should be including a greater depth of Bible knowledge and not exclude parts of the Bible because we think they are too hard to understand. Here’s an example from 2 Kings when Elijah hands over to Elisha. 1. Elijah knew it was time for him to leave the earth. Elisha was his disciple. He followed Elijah everywhere. 5. Now they were by the river Jordan. Elijah put his staff (stick) into the river and the water separated. Now Elijah and Elisha could walk across. 6. God took Elijah up to heaven in a whirlwind. But first Elisha asked for one thing. 7. “Give me twice as much of God’s Spirit as you have.” He asked. 8. Elisha saw Elijah go to heaven. He picked up Elijah’s staff (stick) and put it into the Jordan river. 9. The water separated. Elisha knew God’s Spirit was with him. 10. The Bible says God’s Spirit is with us. We can pray and the Spirit will help us in many ways. Pray for God’s Spirit to help you, teach you and show you all God’s love for you. The sensory experiences depend on the young persons needs at this point. With this boy, one for the whole story was enough to give him a sensory link to the story. So for this Elijah story we would maybe have a cloak or shawl to use a ac cloak as this is a central prop of the story. I might have added some water when each of them parted the Jordan too. 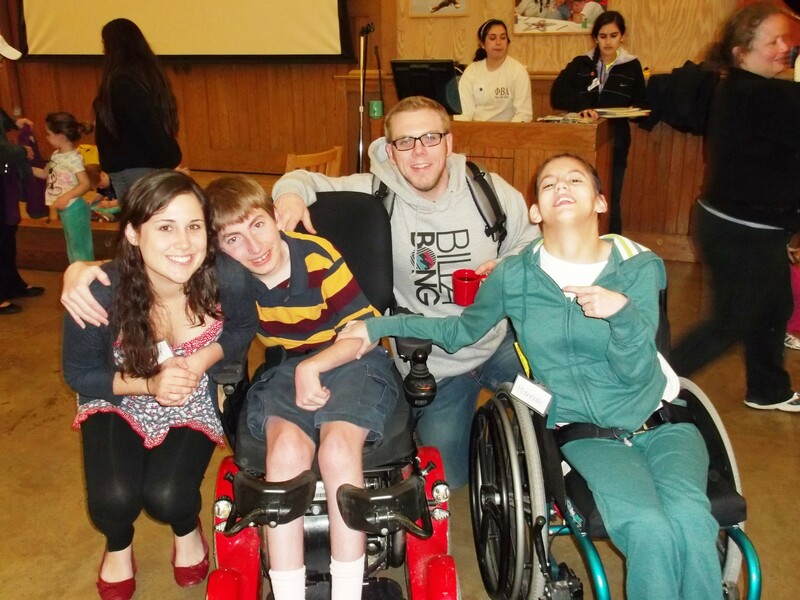 The main issue for young people with additional needs is often social inclusion. They go through puberty, identity formation, hopes and dreams for the future the same as other teenagers. Being put with younger children doesn’t help this at all. It is we that have to be more creative and adaptable. There’s forever to study the Bible for our other teens. Learning how to come alongside and make the Bible accessible to someone with additional needs is a lesson of greater worth than gold. Then you have a peer group that don’t exclude but are able to communicate the Bible to someone else. It makes them think and consider the important points and what it really means. So, teach the other teens to write a story in this way now and again. ‪Claire Webb‪ For our daughter it’s been opportunity to be part of things! 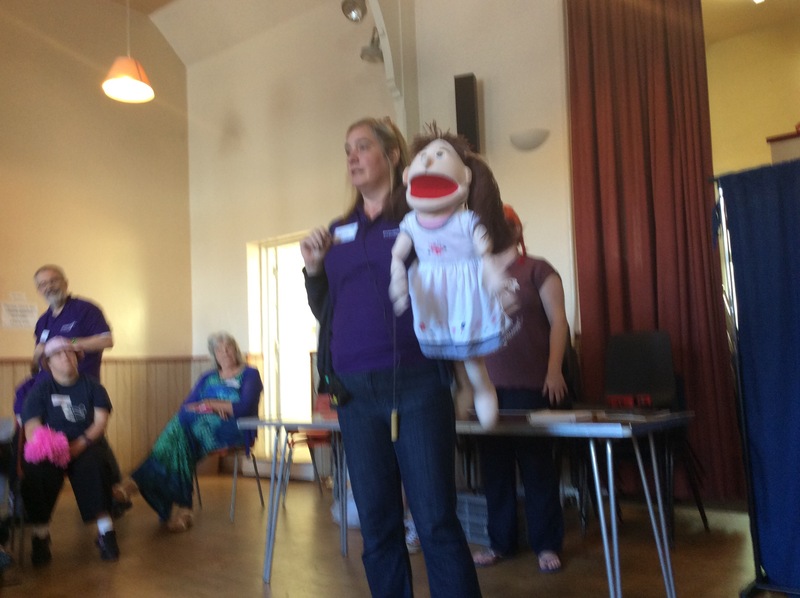 She very sociable and children and young people in a wide age group are very friendly towards her and don’t exclude her (especially young people who’ve grown up with her!) but adults find it harder to include in practice! ‪Rosie Thornton‪ Thank you for asking this Lynn. My teenage daughter cannot really access discussion groups or events where activities are not tightly structured so we haven’t tried Christian youth groups. ‪Fiona Tyler‪ My daughter will be 13 on Saturday! She is cognitively very able, but because she is non-verbal it is very difficult for her to join in discussions and keep up with her peers. Also socially, because she is in a wheelchair and looks different, her peers are very wary of her and don’t naturally relate to her – this has got harder as she has got older (little kids are much more accepting!). We are trying to raise awareness by openly talking about my daughter’s disabilities and also her similarities, but it is a slow process. I agree very much with what Mark says, it is probably a battle that is unique for each young person, and the teenage years can be very difficult as they try to come to terms with, and accept, their own disabilities and differences, when all they want to do is fit in with their peers and the rest of society. ‪Nancy Gedge‪ Yes – the language base of much work with young people means that Sam can’t access it in several ways. 1. The concepts are difficult for him to grasp. 2. His communication difficulties mean that he finds it difficult to feel part of things (anything) with typically developing children. 3. Times – he is often tired in the evening. I often wonder if the way to witness to young people like him is through the ‘doing’ – how can he, who is so often helped – serve others? What creative opportunities are there for him? Could he be involved in an art/music project with other young people at church? How could technology be incorporated? How can he be made to feel less isolated? Less different? And, how can adults be encouraged not to baby him, or see the solution to his inclusion as a box of cars in the corner? ‪Highstreetmethodist Underfivesworker‪ I know the child is not yet a teen but as a church whose Junior church starts off altogether and then simply meets in different parts of the same room we let the child decide which activity he wanted to do – regardless of whether it was his age group or not. Ros Bayes – Ellen was always well supported in children’s ministry, but when she outgrew it there were really no appropriate youth activities she could participate in. The good thing about that was that it gave her sister somewhere to go without her at a time when she needed those breaks. The sad thing, for me, was that there were some real moves of the Holy Spirit among the young people, and they bypassed her. This is the ministry statement of our church, you can see more about it here. It seems simple…and maybe we do make it more complicated than it needs to be. 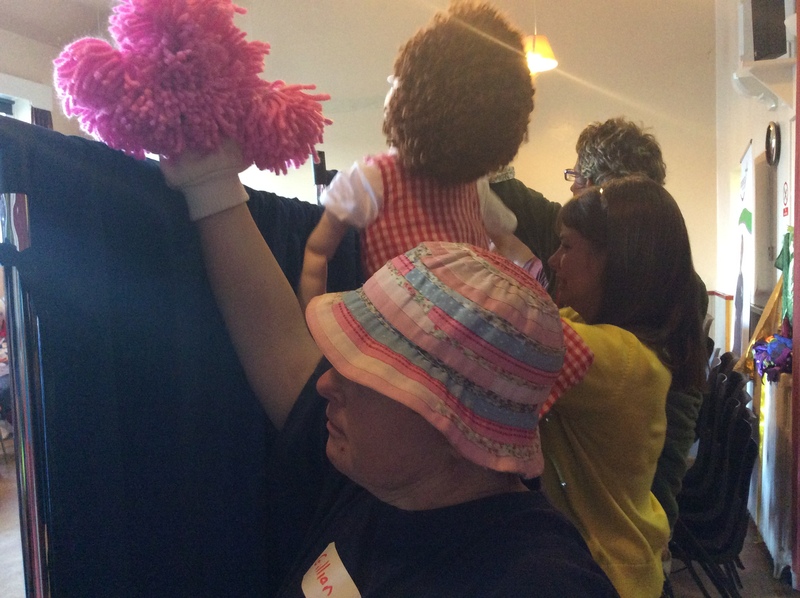 This year we are seriously praying about and exploring how we disciple our adults with learning disabilities. 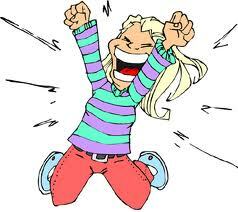 We don’t run our Good News Group through the school holidays, except for a BBQ that we are having on Wednesday. People miss it, but it also gives us as leaders, time to reflect and seek God for his plans for the coming year. 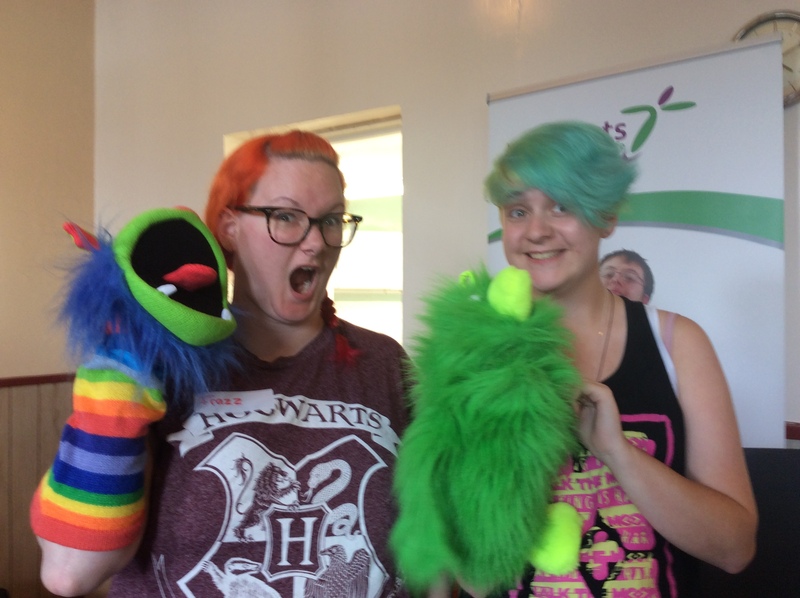 When we took on the role of leaders (unexpectedly!) Bob, Gill and I agreed that we could not do it without a sense of God’s vision for the ministry. The first indication from God was to “reach out”. At the time we were concerned, each of us had commitments and other ministries that gave us very little time or opportunity to get out and about into our community, but we prayed… Thy Will be Done. What we have seen is God building a ministry that is reaching out in ways we could not imagine in those early days. 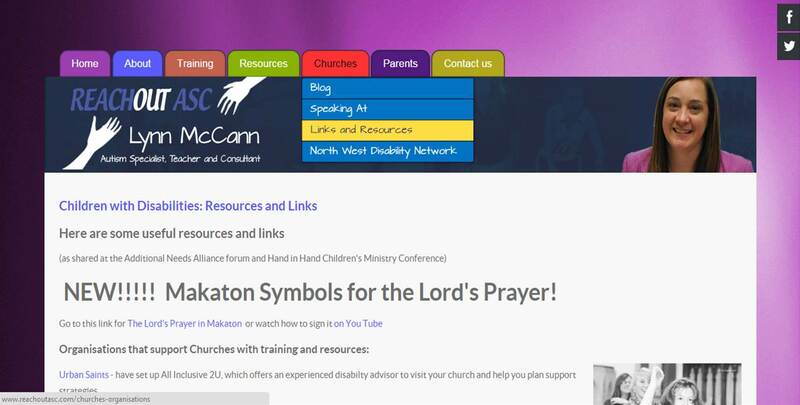 This blog and my website – www.reachoutasc.com with resources that people can use is part of that, along with the Disability Network we have helped set up. It seems like God’s intention has been for us to reach out to other churches and support them in their inclusive ministries…and there is more of that to come. This summer God has been leading us to pray more and more about growing disciples. We have high expectations of God’s Word in our Bible teaching, we share and teach the Gospel and spend much of our time helping our members understand God’s Word. It is a joy to see how how members are growing in their knowledge and response to the Bible. We already spend a good portion of our time sitting with our members individually and in small groups to talk with them about putting God’s word into practice in their lives. We have prayed with them and taught them how to pray. We listen to their problems and issues and help them apply God’s word to those. We encourage those that are able, to read the Bible for themselves (the Prospects booklets have been helpful for this, especially as they also come in a CD version for those who can’t read – see below) So far, this has been our experience of growing disciples. This should be a natural extension of our discipling. If we are growing strong, confident believers, then they should be able to go out and talk to others about Jesus, whether that is within the other church ministries, such as the children work, to the other residents and carers who share their homes, or actually getting involved in missions further afield. This is something that will be wonderful to explore. We have begun but there may be much more we can explore as we reach out, grow disciples and see where the Lord takes these wonderful people we have the privilege to be joined in faith with. We don’t want to see their disability as a barrier or a limitation, but as a gift and opportunity to reach others for Jesus. What are your experiences of growing and discipling children and adults with learning disabilities, or with autism? Letting God build the ministry. In January 2014 I wrote this post “ASC What’s That?” about starting up my own business in supporting children with Autism in schools. Part of my motivation was to get out of a stifling education system that crushed my ideas and creativity and give myself space to get involved in disability ministry more and more. I was crushed, but not defeated; demoralised, but not without hope. I stepped out from all the pressure and condemnation into a world where all I had was a lot of ideas, buckets of enthusiasm and a need to start earning a wage very quickly. I hit the ground running and have hardly stopped for breath since. I have learned how to actually think like a business, had a website made and am supporting nearly 20 schools regularly with over 500 people having attended training that I have delivered. Not only to schools but family support charities, churches and a children’s work conference in sunny Eastbourne. I was so keen to bring my ministry and work life together so that I could feel fully ‘me’ in all that I do. I have been really encouraged by a Lou Fellingham song Build this House (listen here). It says “Unless you build this house, I am building it in vain. Unless the work is yours there is nothing to be gained.” (C) Lou Fellingham. In any kind of job and ministry that is starting something, or moving something on, we can only build what God has planned. Although God seems to be pressing on with things! As well as my business growing so that I am taking on two more autism specialist teachers so that we can support more schools, I am whizzing around the county talking to Head Teachers, SENCOs, Speech and Language Therapists and teachers about our service and hopefully helping a few more children with Autism and Asperger’s have a successful time in school. I now have a Facebook page here, full of articles and ideas about autism; am active in the Twitter education and SEN community; (Follow me here @ReachoutASC ) and I am writing a book about supporting pupils with ASC in secondary schools. I LOVE MY JOB! I have always had a love of learning. And I am learning so much that I am able to convert into action in church too. I have set up a churches tab on my website and will continue to add new resources. 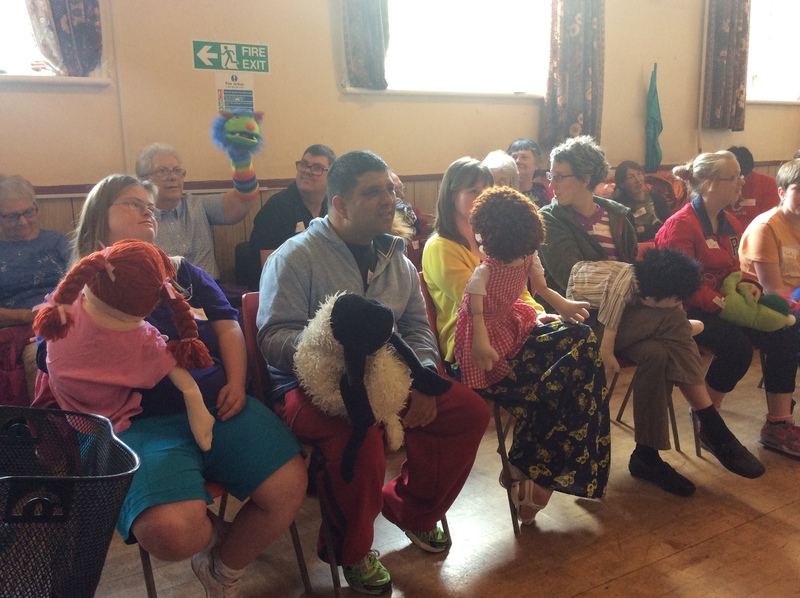 We continue to run our weekly meeting for the adults with learning disabilities in our community. We are seeing spiritual growth in so many as we let God lead us in discipling them. 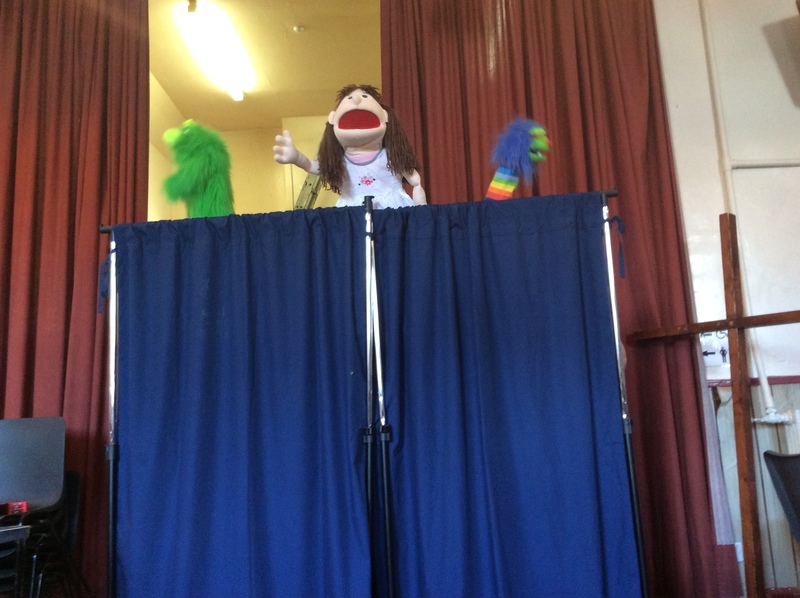 We’ve had a brilliant Puppet workshop from One Way UK and a revamp of our activities during our social time (I think we were all getting a bit bored of the same things) and have just sorted a load of boxes with activities suggested by our members. We weren’t bothered about age appropriateness when they asked for sensory toys, playdough and duplo! It’s going to be fun for all of us to play together as adults. We’ve also got some picture Bible’s to read, Bible colouring and some more crafts, jigsaws and games. The group is just like I would love church to be for everyone. Full of joy, love and freindship whatever your abiliity. However, we have all the issues and trauma’s as any other ministry group might have and have recently had a bereavement. We are feeling really sad about it, but we have hope in knowing that a lovely, quiet man who loved the Good News Group and liked to pray, is now with our Saviour Jesus. 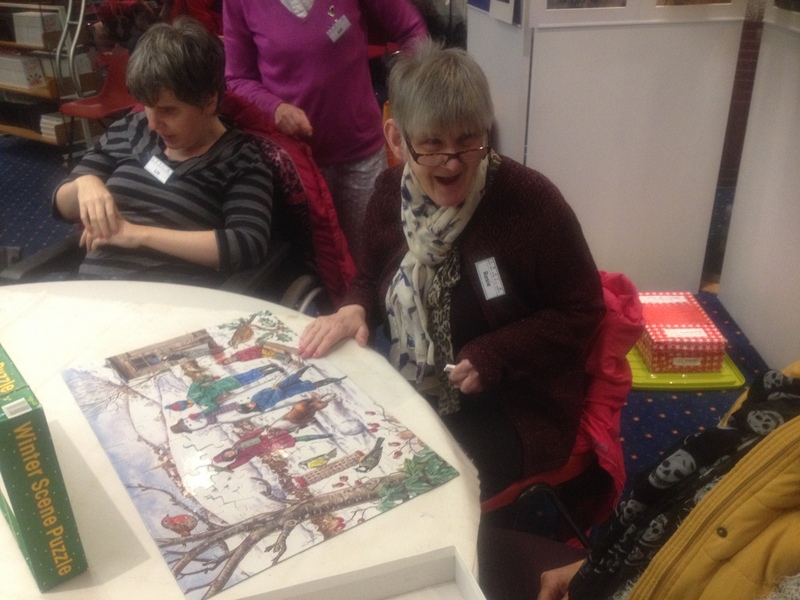 This lady is our jigsaw whizz! I am grateful too for you who have read, shared and supported this blog. Keep on sharing, commenting and looking where God wants you to build his house. Now, this is not a gripe about my lovely friends or the amazing people who live and work south of, say, Cheshire, but it’s just that I’ve noticed that in the North West of England, we MUST have a wealth of experience, expertise and resources right here that we can and should be using to support one another. I want to be able to build a hub of expertise, training and resources that we can call on locally and where people can visit each other’s churches easily and share good practice, or observe what is going on. 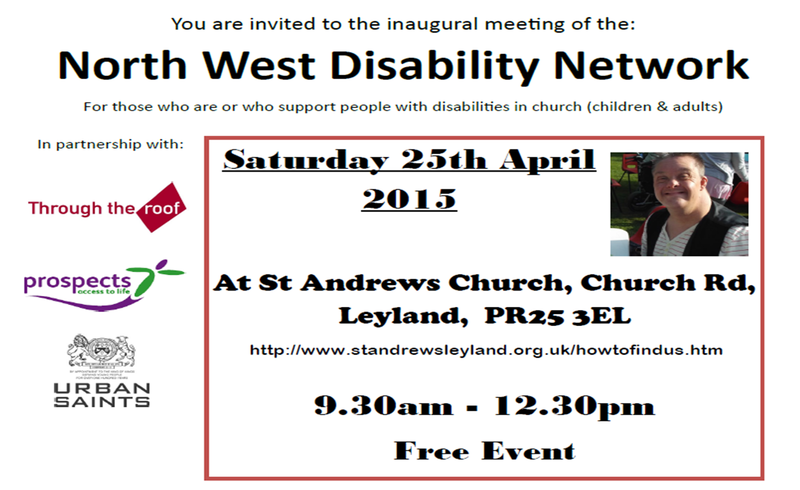 So that is why we are setting up the North West Disability Network. 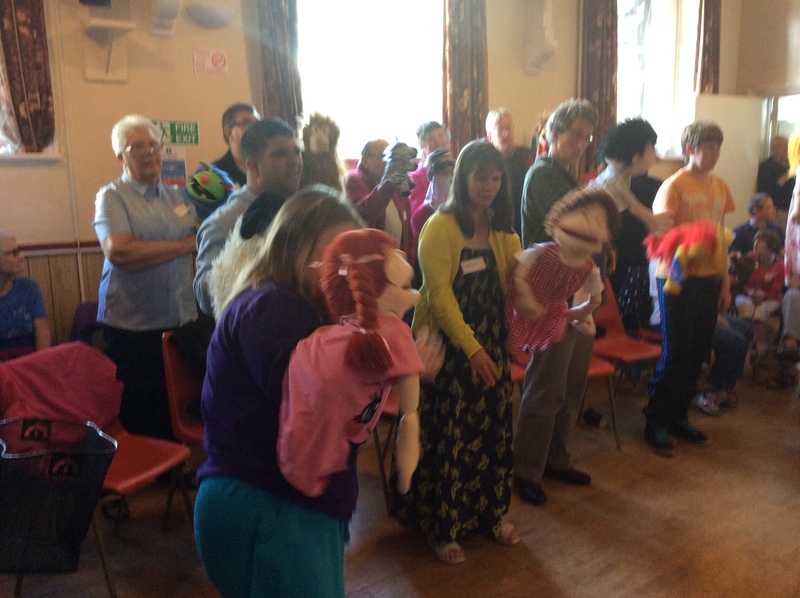 We are going to be connected to and supported by lovely people from various charities that support inclusive church. The group is facilitated by Through the Roof and Tim Wood is coming up (from ‘down south’) to start us off. 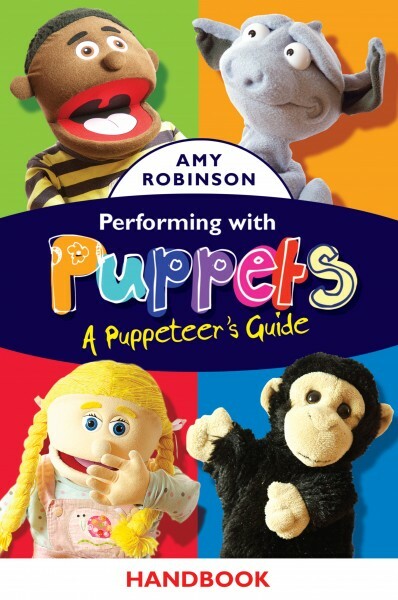 So if you go to a church in Lancashire, or knows someone who does, please pass this on to them. We will have a great morning at our first meeting. Some of the Good News Group are going to tell you how they learn about the Bible, and there will be tea and home made cakes as we work out how this Network can work best for us in Lancashire. 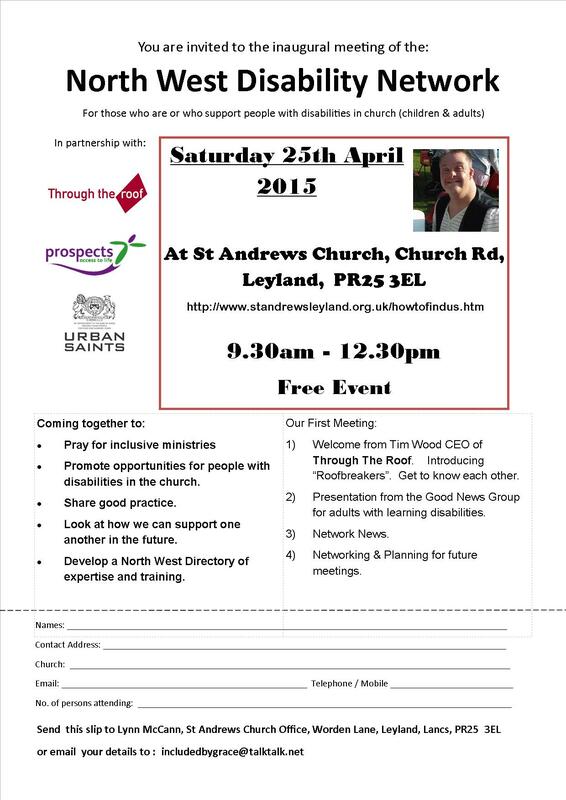 Whether you are a church leader, a Sunday School teacher, person with a disability or parent of a child with additional needs, everyone is welcome. If you can let me know you’ll be coming, (you can use the contact form at the foot of this post) it will be helpful, otherwise, come anyway. We’d love to meet you. 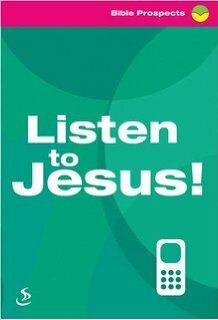 Don’t forget to look at http://www.reachoutasc.com/churches-organisations/links-and-resources for some great free resources too.